Available: 16th Annual Pies on Parade will take place Sunday, January 26, 2020. Packages available January 24th-26th, 2020. Mark the date: the 17th Annual event will be held January 24, 2021. WE SELL OUT EARLY FOR THIS EVENT SO PLEASE BOOK EARLY SO YOU DON”T MISS OUT! Come to PIE TOWN and enjoy the Historic Inns of Rockland’s 16th annual “Pies on Parade” event in celebration of National Pie Day and EAT PIE!!!!! Last year over 15,000 pieces of pies and 50 different types were on parade in PIE TOWN for this event and $35,000 was raised for our local Food Pantry. Once again, we are adding some exciting pie eating events for Saturday, January 25th exclusive to our package guests. Don’t worry about missing any football, the event is scheduled for a non-football weekend between the playoffs and the Superbowl. On January 25th Saturday afternoon, enjoy a special pie related events exclusive to our guests. 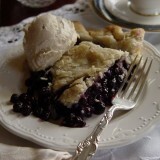 We are still finalizing the 2020 events but it will include an afternoon of fun coupled with pie! There will be a silent auction featuring many of your favorite venue’s pies, gift certificates, and other items to help raise more money for the Food Pantry. 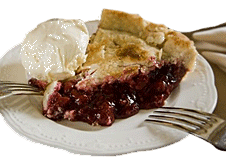 They will feature Pie-themed specialty drinks and entertainment. Enjoy dinner at any number of participating downtown restaurants with a $50 voucher included in your package and finally return to the inn for your “personal pies” at turndown. On Sunday morning, ticketed guests are invited to a special tour of the Maine Lighthouse Museum starting at 11:30am. The actual Pies on Parade event will be held from 1 to 4:00 pm (at the venues) and will include over twenty venues to satisfy all of your pie eating needs. Each of the participating venues will feature sampling of sweet and savory pies and includes such choices as pizza pie, shepherds’ pies, whoopee pies, decadent chocolate pie, blueberry pie, lemon curd tartlets, pizzettas just to name a few. We will once be offering complimentary continuous shuttle service to all venues participating in this event. Due to the popularity of this event and with the Berry Manor Inn “Moms Behaving Badly” appearing on Food Network’s “Throw Down with Bobby Flay” we strongly suggest that you book early as we generally sell out. This is one of the largest fundraisers for AIO (Area Interfaith Outreach), our local food and fuel community assistance program. Every participating inn and restaurant venue donates their time and product so that 100% of all ticket sales go directly to the AIO. In 2019, this event raised more than $35,000 and to date over $220,000 in ticket sales all by eating pie!!!!! A commemorative copy of the 2020 Pies on Parade Poster. Note: Mark your calendar the 16th Annual Pies on Parade Event is scheduled for 1/26/20 with packages available for one or two nights. Day tickets are available on line at www.piesonparade.com. Package cannot be combined with any other discounts. Reservation subject to prevailing lodging tax and is subject to a 21-Day cancellation policy and other policies. Room rates subject to change without notice.